I recently received an email containing a real neat and funny description of the "musical blues". There was no information about the author of this article so I cannot cite credit. If anyone has seen this before and knows who wrote it, please let me know. 3. The Blues is simple. After you get the first line right, repeat it. Then, find something that rhymes -- sort of: "Got a good woman with the meanest face in town. Yes, I got a good woman with the meanest face in town. Got teeth like Margaret Thatcher and she weigh 500 pound." 4. The Blues is not about choice. "You stuck in a ditch, you stuck in a ditch...ain't no way out." 5. Blues cars: Chevys, Fords, Cadillacs, and broken-down trucks. Blues don't travel in Volvos, BMWs, or Sport Utility Vehicles. Most Blues transportation is a Greyhound bus or a southbound train. Jet aircraft and state-sponsored motor pools ain't even in the running. Walkin' plays a major part in the Blues lifestyle. So does fixin' to die. 7. Blues can take place in New York City, but not in Hawaii or anywhere in Canada. Hard times in Minneapolis or Seattle are probably just clinical depression. Chicago, St. Louis, Kansas City, Memphis, and N'awlins are still the best places to have the Blues. You cannot have the Blues in any place that don't get rain. 10. Good places for the Blues: a. highway, b. jailhouse, c. empty bed, d. bottom of a whiskey glass. 11. Bad places for the Blues: a. Nordstrom's, b. gallery openings, c. Ivy League institutions, d. golf courses. 12. No one will believe it's the Blues if you wear a suit, less you happen to be an old person, and you slept in it. 13. Do you have the right to sing the Blues? Yes, if: a. you're older than dirt, b. you have a harp and it cost more then your car,c. you shot a man in Memphis, d. you can't be satisfied. No, if: a. you have all your teeth, b. Your a fan of Brittany Spears c. the man in Memphis lived,( or you missed ) d. you have a 401 K or trust fund. 14. Blues is not a matter of color. It's a matter of bad luck. Tiger Woods cannot sing the Blues. Sonny Liston could have. Ugly white people also got a leg up on the Blues. 15. If you ask for water and your darlin' gives you gasoline, it's the Blues. Other acceptable Blues beverages are: a. cheap wine,b. whiskey or bourbon, c. muddy water, d. black coffee. The following are NOT Blues beverages: a. Perrier, b. Chardonnay, c.Snapple, d. Slim Fast. 16. If death occurs in a cheap motel or a shotgun shack, it's a Blues death. Stabbed in the back by a jealous lover is another Blues way to die. So are the electric chair, substance abuse, and dying lonely on a broken-down cot. You can't have a Blues death if you die during a tennis match or while getting liposuction. 18. 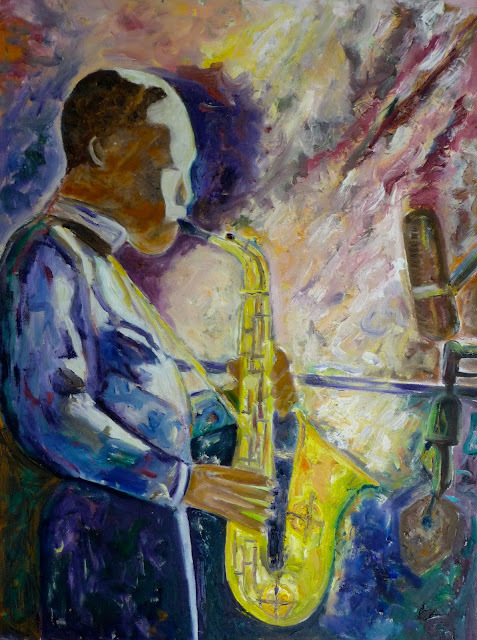 Some Blues names for men: a. Joe, b. Willie, c. Little Willie, d. Big Willie. d. Chickenbone Willie. 19. Persons with names like Michelle, Amber, Jennifer, Debbie, and Heather can't sing the Blues no matter how many men they shoot in Memphis. 20. Blues Name Starter Kit: a. name of physical infirmity (Blind, Cripple, Lame, etc. ), b. first name (see above) plus name of fruit (Lemon, Lime, Peach, etc. ), c. last name of President (Jefferson, Johnson, Fillmore, etc.). For example: Blind Lemon Jefferson,Pegleg Lime Johnson, or Cripple Peach Fillmore, etc. 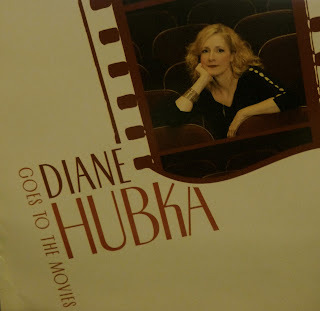 CD Review: "Diane Hubka Goes To The Movies"
Last month I published information about a new CD, "From California With Love" that was recorded by a talented group of West Coast Musicians with the sole purpose to raise money for Japan Earthquake/Tsunami Relief. I learned about the effort from one of the talented musicians who recorded on the CD, Diane Hubka. Diane found my blog and enjoyed the live music reviews I did last winter from the Palm Springs, California area. I really loved the way Diane sang on the "From California With Love" CD and I wanted to find out more about her. Turns out she was performing to rave reviews in the New York City area for many years before moving to Hollywood California in 2004 where she collaborated with pianist Christian Jacob (who married the daughter of one of my all-time trumpet faves', Maynard Ferguson). Christian Jacob has also recorded with the uniquely talented Tierney Sutton. Together Diane and Christian recorded "Diane Hubka Goes to the Movies" in 2007, and I decided to review the CD. Diane Hubka is not just another singer! In addition to singing, Diane plays a 7-string guitar with great skill and improvisation. She selects her material like a fine chef selecting just the right products at a food market. After her move from NYC to Hollywood Diane picked 13 songs that were written for movies, some standards and others relatively unknown but still great songs. According to Diane "It seemed the logical choice. Since coming here, I've enjoyed working with some fantastic West-Coast musicians, many who've made their living at least in part from playing in the studios." The arrangements are wonderful and were all written by Christian Jacob. Diane chose all the musicians for the band from those she had heard and worked with after moving to California. 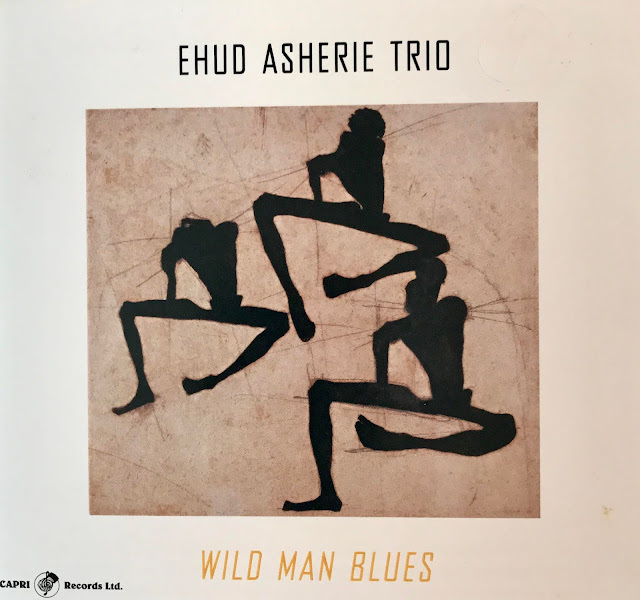 The group includes Christian Jacob on Piano and did the arrangements, Carl Saunders on Trumpet and Flugelhorn, Larry Koonse on Guitar, Chris Colangelo on Bass and Joe LaBarbera on Drums. There are 13 songs on this CD all taken from movies from 1937-79 and none of them are easy to play or sing. Diane really gets to show her professional singing skills to the fullest on this CD and also solos, singing and playing her 7 string classical guitar on Track #12, "Manha de Carnaval" more popularly known as "A Day In The Life Of A Fool". My other favorites were Track #1 "All God's Children Got Rhythm" from 1937 movie "A Day at the Races". It's a perfect opening number for the group with everyone in the group making their presence known. Track #4, "Lovers in New York" from the 1961 movie "Breakfast at Tiffany's" was written by Henry Mancini, Jay Livingston and Ray Evans swings with great Trumpet work from Carl Saunders. Track #5, "He's a Tramp" from the 1955 movie "Lady and the Tramp" written by the great Peggy Lee and Sonny Burke played in an up-tempo Samba rhythm that fits the song perfectly. Track #7 "I'm Old Fashioned" written by Jerome Kern and Johnny Mercer for the 1942 movie "You Were Never Lovelier" features some great piano and Guitar work by Christian Jacobs and Larry Koonse. Track #9 "Close Enough for Love" from the 1979 movie "Agatha" showcases some outstanding Piano and Bass work from Jacob and Colangelo. Track # 11 "Wild is the Wind" the old Johnny Mathis hit from the 1957 movie of the same name features a great up-tempo rhythm used very effectively to showcase an outstanding piano solo from Christian Jacob. There is one member of the group that needs some praise for his skillful performance on this CD, Drummer Joe LaBarbera. Joe has done some outstanding playing with the great Bill Evans and shows us on this CD why Bill Evans loved him. Joe fits his percussion work into every song and rhythm perfectly, never overplaying or underplaying Diane or any member of the group. Great Job, Joe. If you like great jazz singing combined with some smooth jazz instrumental sounds, this CD is for you. Diane Hubka is the real thing. Her singing skills are finely tuned and she is not afraid to push aside the safety net of the classic songs of the "Great American Songbook" and experiment with new approaches to new and old songs in her own personal way. You can preview this CD on iTunes and I urge you to do so. Diane's first CD "Haven't We Met" was released in 1999 featured alto sax legend Lee Konitz and received Jazz Nomination for "Best Recording Debut". Her Latest CD "You Inspire Me" was released in Japan in 2007. Note to all my California readers: Diane will be performing live on Oct. 20 at Vitello's Jazz & Super Club, 4349 Tujunga Blvd., Studio City Ca. 91604. Reservations: 818-769-0905 If you are in the area, make the effort to catch her show, you will not regret it!